Get a Grip on Playtime.™ Encouraging interactive play, the Rollin' Rainstick™ features multi-colored beads that make playful raindrop sounds. 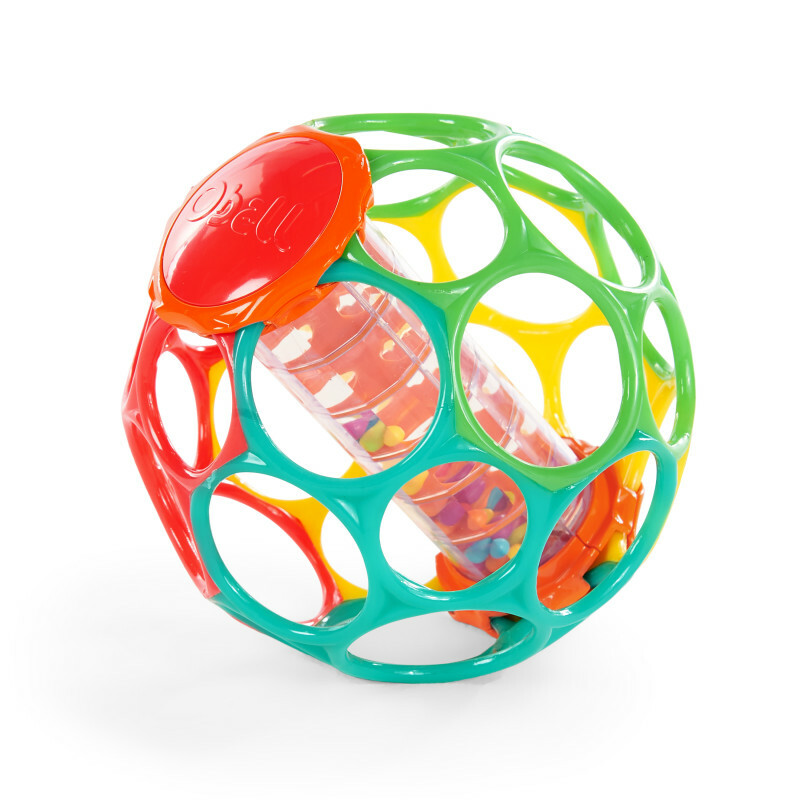 30 finger holes make this ball easy for baby to grasp and rattle. Dimension (in) 6" x 6" x 6"